The Elk County Community Foundation (ECCF) welcomes featured speakers, Padraic McGrath of McGrath CPA, LLC, on left, and Thomas C. Hoffman, II, Esq. of Knox McLaughlin Gornall & Sennett to its Pay It Forward event on Monday, November 19 from 2 to 7 pm at the ECCF office and lobby of the Franklin Center on South St. Marys Street. This Open House event is an opportunity for all community minded individuals to learn how you can make your resources, large or small, work for both you and your community. McGrath will present on the 2018 tax law changes and strategies on how to maximize charitable giving. He will also explain charitable IRA’s and how clients can still benefit from them. Also speaking will be Thomas C. Hoffman, II, Esq. of Knox McLaughlin Gornall & Sennett, who will share information on creating wills and estate plans and incorporating charitable giving into your plans. Hoffman will speak at both 3 pm and 5 pm, while McGrath will present at 4 pm and 6 pm. Reservations are not necessary. The educational event will also feature informative table displays by area non-profit organizations that have Endowment Funds at the Foundation. Come learn more about ways, large and small, that you can help organizations like the Christian Food Bank, CAPSEA, Boys and Girls Club of St. Marys, Dickinson Center, St. Marys Library, Elk Co. Catholic School System, Ridgway Library, Oak Manor and ECCOTA. Chat with their representatives and enjoy appetizers, beverages, and door prizes including a TV. 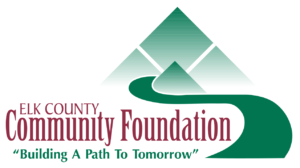 The public is invited to stop by anytime between 2 and 7 p.m. For more information contact ECCF at eccf@elkcountyfoundation.org or call 834.2125.